This episode features the talk Epigenetics: The Merger of Nature and Nurture, by Dr. Lisa Sardinia from Pacific University. Lisa teaches environmental science and biology, specializing in microbiology and genetics. In this talk she describes the emerging field of epigenetics and how changes in your environment and what you eat can contribute to genetic changes not only for yourself, but potentially for your children and grandchildren. 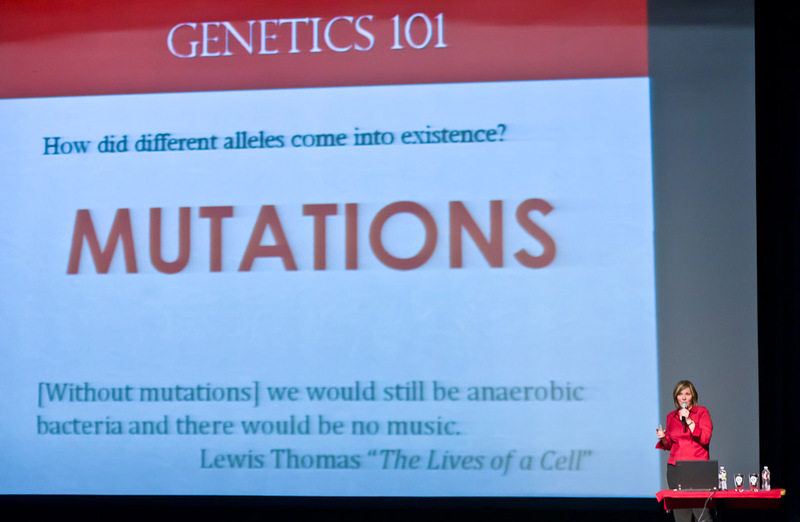 She also covers Genetics 101 with a basic explanation of DNA, phenotypes, genotypes, and genes, the difference between Ligers and Tigons, why mother rats should lick their babies, and why eating chocolate and peanut butter is good for you. Lisa’s slides have been synched with this recording and uploaded as an AAC format as an enhanced podcast, so depending on your media player, you may be able to see the slides as the audio plays along.